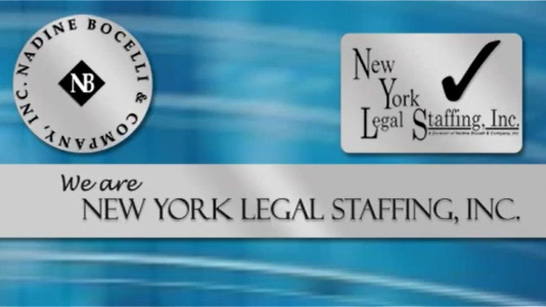 Litigation Paralegals/Case Managers – (Bergen County) – Nadine Bocelli & Company, Inc. – New York Legal Staffing, Inc. Established Bergen County, New Jersey litigation law firm seeks temp to perm litigation paralegals/case managers. The case management paralegal will work on a variety of pharmaceutical and medical device product liability matters and be responsible for the day-to-day management of their assigned caseload. Perm salary commensurate with experience. Generous benefits package. ***Recent college graduates with substantial legal internship experience will be considered!! !